The understorey in this photograph is dominated by crown fern and horopito shrubs which are unpalatable to deer. Deer selectively browse palatable species like broadleaf, mahoe and pate. Decades of grazing may have changed this forest understorey. 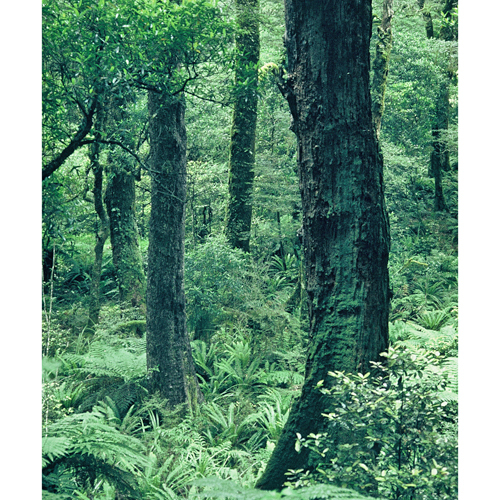 Trials throughout New Zealand have shown a greater diversity of plant species and an increase in numbers of plants with greater stem diameters within fenced deer exclosures compared to outside the exclosures.